Seemantham is a set of Vedic function and other Vedas performed for the wellness of the Pregnant Women. It gives a good and a healthy delivery of the baby. The Shanthi mantras that are told during Seemantha makes sure that it protects the womb of the Mother. 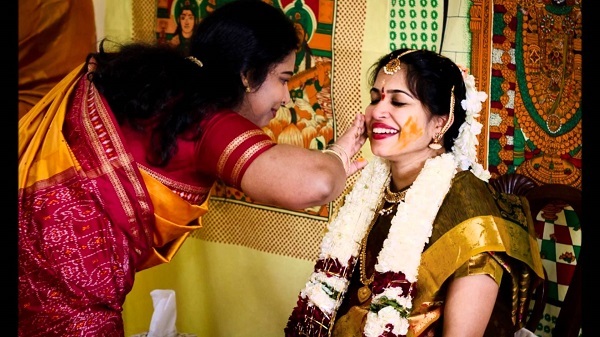 The Seemantham function includes important pujas like and then Kalasabhishekam for the mother. This Kalasa water will bring strength to the mother and will enable her to give birth to a strong and a healthy baby. It is performed during the 8month of pregnancy. The date and the lagna have to be fixed during a Shuba Muhurth date as per the nakshatra of the husband and wife.